All Woodbridge homes currently listed for sale in Irvine as of 04/19/2019 are shown below. You can change the search criteria at any time by pressing the 'Change Search' button below. "Remodeled 3 Bedrooms, 1-1/4 Baths upstairs-corner condo in the nice family-friendly Wood Bridge community. New paint, laminate floors, Living room has an oversize dual pane slider that leads to the balcony, offering additional storage with a tucked away outdoor closet. 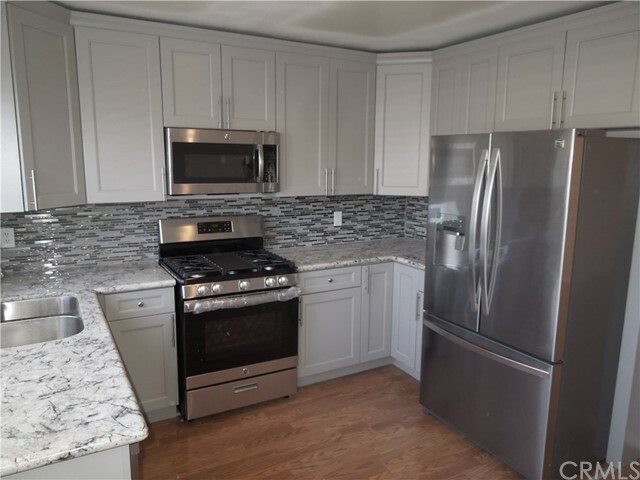 New kitchen cabinets with stainless steel appliances and remodeled baths, additional inside laundry with washer/dryer. Take full advantage of Wood Bridge's amazing amenities, including pools, two lakes, two tennis clubs, gorgeous parks and plenty of shopping and dining options."